It’s finally here. This was a first for me in many ways. My first A5, my first unboxing post, and the most expensive thing I’ve ordered from the internet yet. 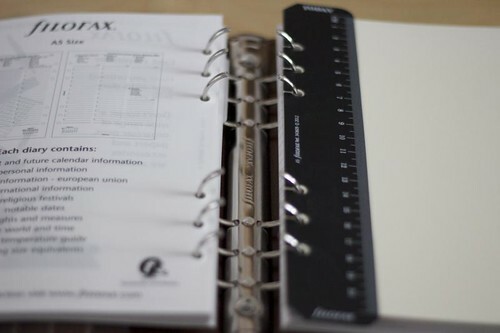 I’ve wanted to buy an A5 for awhile now and have been checking the Filofax USA website every few days for a good one. I’ve been happy with my Personal Malden so far even though I’m not completely in love with the colour. I wanted a Personal Ochre, Aqua, Purple or Crimson. I’ve been converted to the Malden cause. Most of the A5’s are not cheap. I just did not like the Original’s elastic pen loops so I thought I may as well go all out with something I knew. Note: This is an image heavy post. It almost gave me physical pain to buy this. 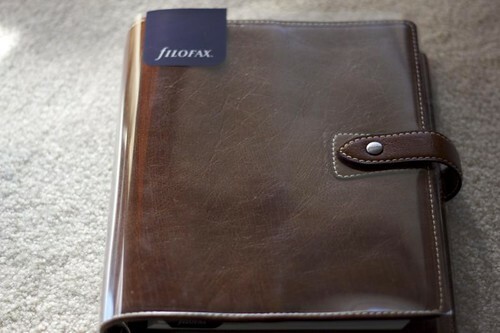 Due to my location, stockists for Filofax are limited. 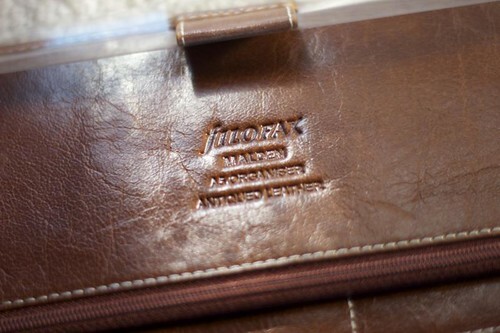 I have been told by my preferred stockist that there is no Canadian distributor for Filofax so it all comes direct from the US. Even where there was one, the stores generally don’t get much choice in binders. So my only option to get a Malden A5 was to buy online and for this price tag, it’s a bit risky. I really hoped there would be no issues with the binder rings or with duty at the border. When I bought it on August 26th, I had just spent the weekend away and had bought myself another expensive handbag and the Pilot Cavalier fountain pen. My credit card bill bulged. Ah, well. Tis life and now I’m trying to abstain on shopping for the next few weeks. 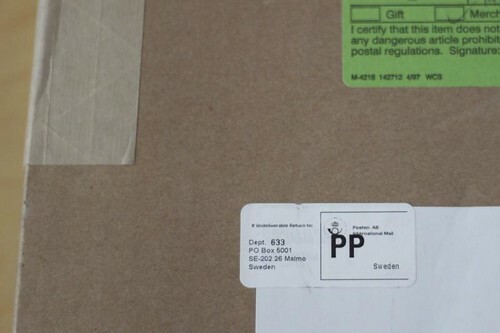 It took about two weeks for it to arrive, and once again, the return address said Sweden. 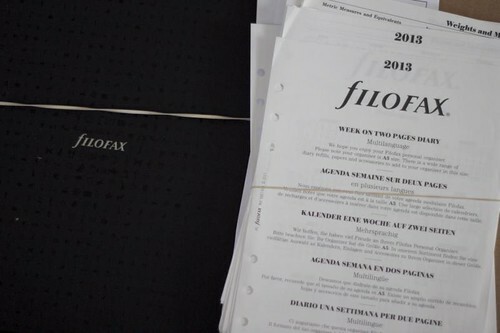 I’m glad that they sent me a Filofax box with it. They seem to be getting rarer. I liked the plastic cover. Do you ever keep the plastic on things just a bit longer when using them because of the newness? I’ve kept it on mine until I’m really ready to use it. The Leather & Colour: First thing I noticed was how dark and masculine it looked. Mine is quite dark compared to others I’ve seen on the web. It smelled really nice if you like that new leather smell which I do. There were colours I wanted as well, but they were unlikely to be available. 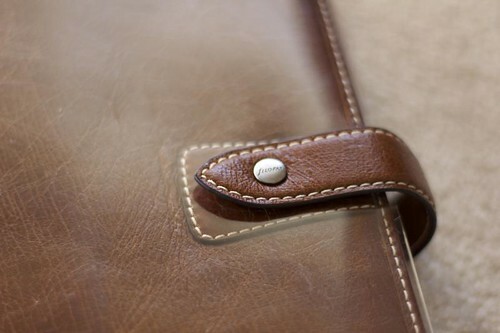 Ultimately, I chose the Ochre because brown leather is classic. I love colours, but this is timeless one. The Weight and Portability: I know some people actually carry their A5’s around; I commend them. I really wouldn’t be able to cart this around even with my big handbags. It looks gorgeous on any desk though. The Pockets/Inserts: Lots of storage pockets in the front and one giant one in the back. It really is a big version of the Personal. It came with the flyleaf, WO2P diary, A-Z tabs, blank tabs, To-Do pages, coloured line pages, Address pages, Business Card holder, and a notepad. Pen Loops: I couldn’t fit my Cross Verve or Lamy Vista so I’m going to put my Pigma Microns in it for now. Price: When converted, it ended up being about $155CAD which is a lot of money for writing paraphernalia. I don’t regret it because it is a gorgeous leather binder that I intend to use for many years. 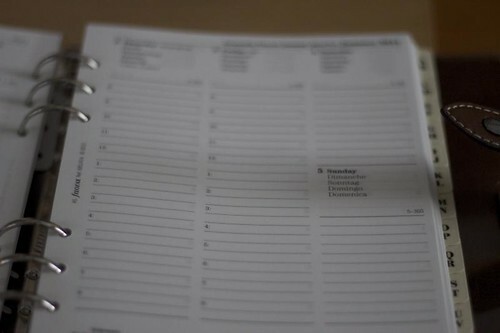 I really do like the size of it, but I’m hard pressed to think of me getting another A5 size binder. One would be enough for me. I have never had a planner this big, and I was really excited flipping through the diary. I can’t wait to use it. The main reason I wanted to buy the A5 was to use this as a journal. I’ve had a personal journal on and off since I was eight years old. I’m not great about writing in it daily and it often takes me a year to finish a 120 page notebook that’s about the size of an A5. I have about two boxes of my old journals, and while it is sometimes fun to buy new journals, I’ve been thinking I would just like one leather binder for it because of the storage issue. I prefer to use fountain pens in general, but especially with my journals. Most of the journals I’ve had in the past are Clairefontaine because of their quality 90gsm paper. I’ve been devising a way of making paper inserts for the A5 since before I ordered this one. I’ll experiment and write about my findings in a future post. The Setup: There is none yet. As I said, I plan on using this as a writing journal in the long term, but I will find some way to use it as a diary because my current journal is only 15% filled. I have an additional journal that needs to be used too. It could take until at least 2015 before I really use it as a journal. In the meantime, I’ll use it as home diary. 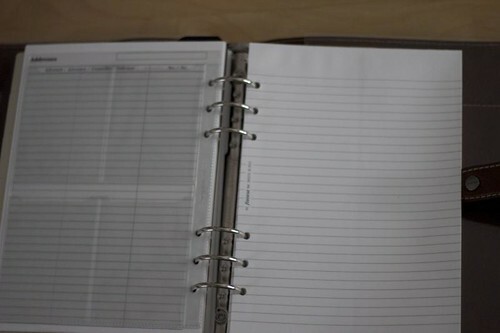 I’m considering using the diary pages to track fitness, finances, spiritual and personal development. 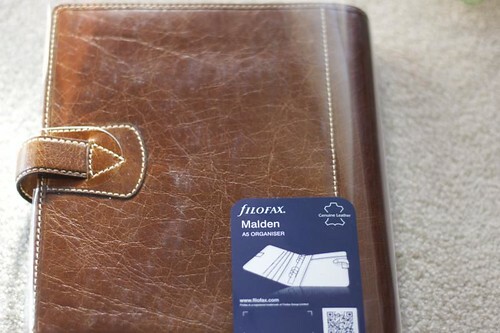 I will not use it too much as a proper diary because that’s the job of my Personal Malden. 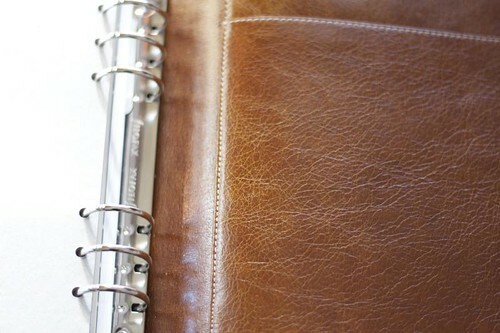 I only like to use one organiser at a time, but goodness, this is a beautiful planner. Cod you help my hver i cod bye it? 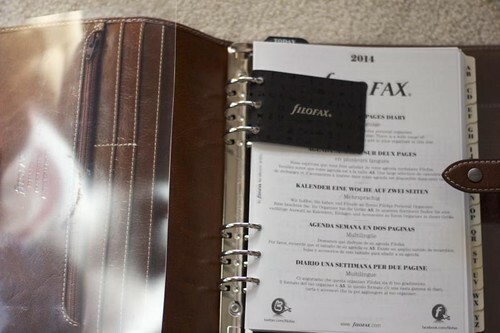 No, I am not selling this Filofax.